The government has come up with new definition for Minimum Support Price (MSP), which in fact has made no change in the old MSP, said the AIKSCC, which represents 191 farmer organisations in the country. 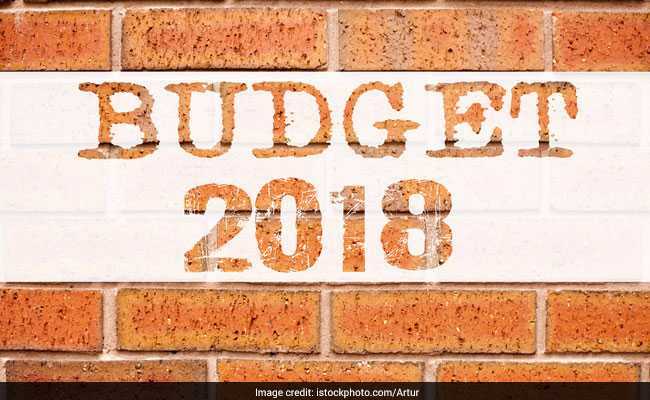 New Delhi: Terming the announcement of 50 per cent profit over the input cost for agriculture commodities a "jumla" and "big fraud", All India Kisan Sangharsh Coordination Committee (AIKSCC) on Tuesday said the Union Budget presented by the BJP government was anti-farmer and would only benefit corporates. It has announced 'Kisan Sangharsh Mukti Saptah' from February 12-19 across the country to express its displeasure over the "anti-farmer" budget. Addressing a press conference here, AIKSCC convener V.M. Singh said the government did not intend to give higher price to farmers for their crop produce as it had not made any budgetary allocation. "This government has manipulated the figures so the input cost has gone down when actually it has increased. It is just beating the drum for the hike in the MSP but no farmer is going to be benefited. This is government of 'jumlas' (gimmicks)," he said. The AIKSCC leaders said the BJP had forgot its poll promise of 1.5 times return of the input cost since it had come to power. However, it was left with no option but to declare it during this budget due to recent countrywide protests by the farmers over rural distress, they said. Attacking the government for manipulating the input cost figures while fixing the MSP, Yogendra Yadav of Swaraj Abhiyan said the new MSP rates using A2+FL as input cost would hurt farmers. "This government had in affidavit submitted to the Supreme Court in 2015 said that it cannot give the 1.5 times profit. However, it has announced it now. Actually, the government is not going to give MSP as per the Swaminathan Commission's recommendations, which consider C2 - the comprehensive input cost - while fixing it. It is going to use A2+ FL, which will not lead to any hike in MSP," he said. "In an RTI reply on January 19, the government said MSP with 1.5 times the input cost was not possible. And in next few days, the government announces that it is going to give 1.5 times. It is a big fraud." Medha Patkar of Narmada Bachao Andolan said the budget was made keeping privatisation in mind, which would hurt not just farmers but Dalits and tribals as well. "The thrust on infrastructure building such as roads in the farm and rural sector would help only corporate. The government has ignored dalits, labourers, tribals, farmers in the budget in pursuit of the economic development. We do not think there will be any reduction in farm suicides," she said. Former NDA ally Shetkari Sanghtan's MP Raju Shetty said the government wanted electronic markets in rural areas but it had not provided required warehouse facility. Former Madhya Pradesh lawmaker and farmer leader Sunilam said copies of the budget would be burnt at 1,000 locations across the country in order to expose how anti-farmer it was.